First off I am biased in this review as I am a huge Zakk Wylde fan. 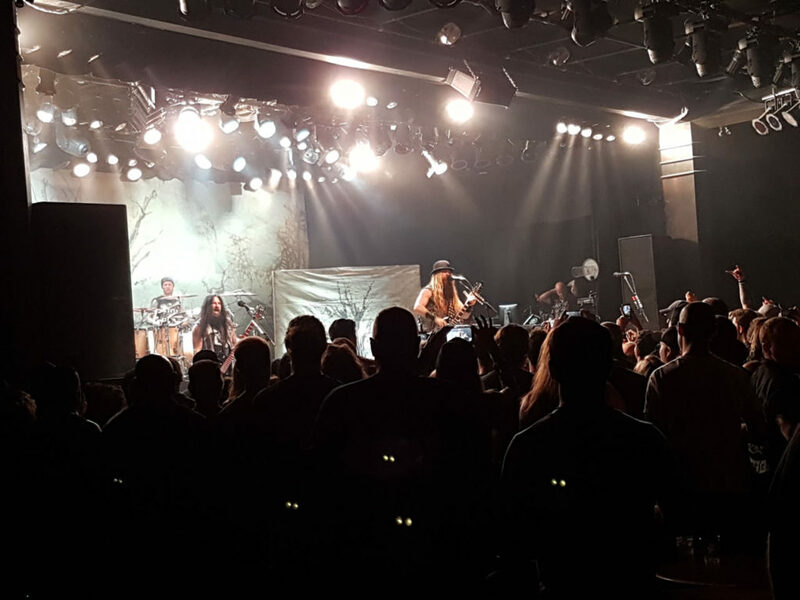 I have seen Black Label Society twice before and Zakk Wylde as part of the Generation axe tour. So I was really looking forward to seeing this ‘Book of Shadows’ show. The show was of course attended by the chapter of fans wearing all of merchandise and a near capacity full house it was. Now to the show opening acts were OK as I eagerly awaited Zakk’s set…from the time he hit the stage he had the audience in his hands. The performance was absolutely awesome. The band was tight and Mr Wylde was on top of his game, I cannot pick a highlight of the night as the whole performance by Zakk Wylde was indeed great, I personally got to meet Zakk earlier in the evening and he was as nice of a person as he is a great artist and got some items autographed , So cheers Mr Wylde and thank you for a night I will always remember!